Casting Call Club : Short Noir Audiodrama! Casting Call for Short Noir Audiodrama! 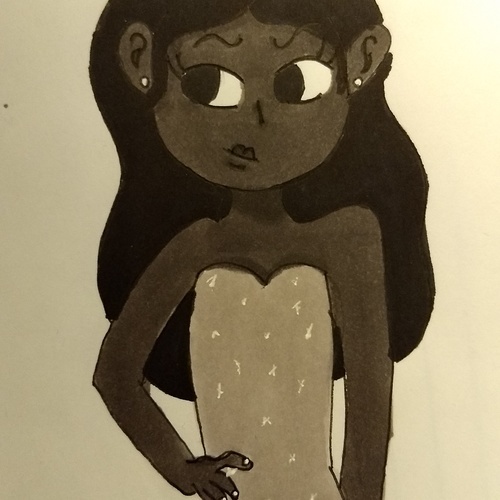 I'm planning to write a noir book in the future, so I'm doing some things with my characters in advance! The basic plot of the novel (this is all pending lol) is something like Fawn coming to Rue because her jewels were stolen and she's accusing William of taking them... bc she hired him to sleep with her the night before ha ha. Eventually, Fawn and Rue fall in love. This audiodrama is a project for my college! I just need two people to do voices, and I'll be putting the drama together in Audacity. The finished work won't be more than 3 minutes long, so this will be a short project!! If you want to read more about the characters, here are their toyhou.se's! 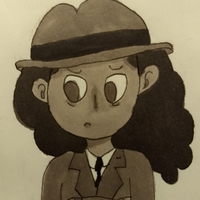 Rue is a mixed-race (black and white) detective in my noir story! She's very hard-boiled and tough. Her voice shouldn't be too high-pitched, but otherwise, anything that sounds vaguely like it's more from the past will be perfect! I expect you came crawling in here looking for money. I’m done playing games with you, Fawn. I know you hid your own jewels to try and frame William for it, to extort him for money. And I know you’ve done it to others too, and it’s despicable. And you came all the way here, to my office, at night, to tell me that? Fawn is our femme fatale! She's devious and sensual, and will do anything to get her own way. 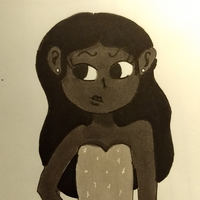 Fawn is African American, and has a lower pitched voice! Oh, you know how these things are, time is of the essence. (frustrated) Oh, William, William, William! But what about me, Rue, what about us? Rue, darling. Just one kiss. That isn’t hard for you, is it?